From her humble beginnings as a Southern maid to a Fortune 500 V.P. to bestselling, award-winning author, Deborah has maintained an intense passion for “walking the Word”. 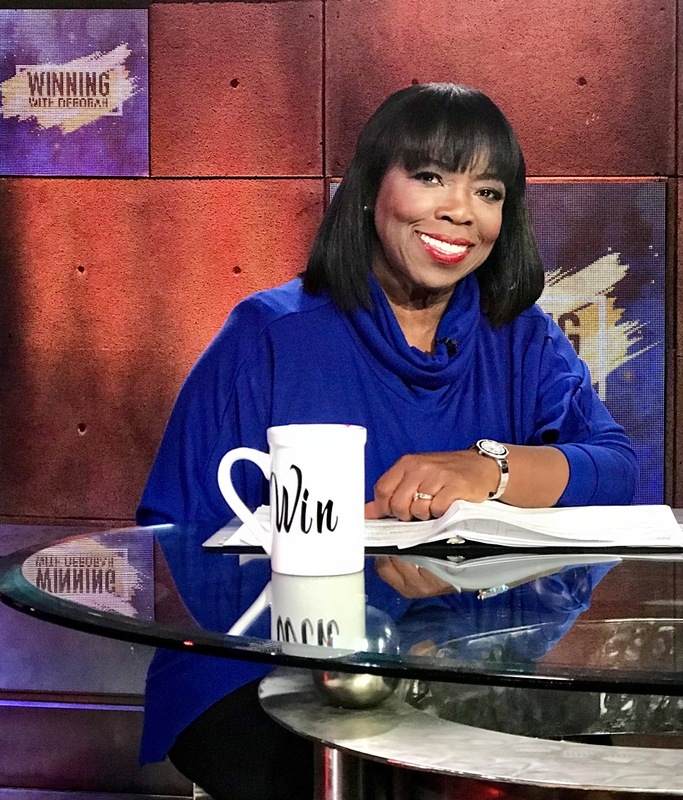 As TV host of the faith-based, how-to program WINNING WITH DEBORAH (on the TBN SALSA Network), international speaker, and interpersonal communications strategist, Deborah delivers sage advice on relational, financial, physical, and emotional freedom to secular and religious audiences worldwide. She is a high-energy, inspiring motivator, effectively incorporating humor and hard-hitting directness into her presentations to her never-bored listeners. Deborah has the unique ability to address people across all cultures and economic strata. Through her guest appearances on numerous radio and television shows, she has shared the life-changing, practical application of God’s principles with millions. Repeat invitations, as well as letters from around the world, affirm the effectiveness of her writings and teaching. Deborah has penned 16 books including “30 Days to Taming Your Tongue” (over 1,000,000 sold) which challenges readers to embark upon 30 days of verbal abstinence from 30 negative uses of the tongue including criticizing, complaining, gossiping, lying, retaliating, etc. The book has resonated with the masses and revolutionized conversations around the world. “Emergency Prayers”, a book of crisis prayers for those troubled times when Divine intervention is the only solution, has redefined what it means to “pray the Word”; many have reported miracles from praying the simple but powerful Scripture-based prayers. In “30 Days to Taming Your Finances”, Deborah writes as a friendly boot camp sergeant and guides readers through the maze of FICO scores, credit card traps, personal spending plans, and much more. “Confronting Without Offending” explains the how-tos for the effective confrontation of interpersonal conflicts with special strategies based upon personality temperament. In “30 Days to a Stronger, More Confident You”, Deborah challenges readers to conquer the age-old issue of insecurity. Cautioning that self-confidence is a “worldly” concept, she invites men and women to aspire to Supreme confidence and to “just show up” for the challenges that will get them on the road to personal fulfillment and Divine destiny. “Forgive, Let Go, and Live”, features real stories of people who triumphed over unforgiveness–and those who did not. The book offers a 12-Step Program for letting go of offenses, debunks the major myths about what forgiveness is and what it’s not, explains when to restore, redefine, or release a hurtful relationship, how to forgive without forgetting, and offers 20 Scripture-based prayers to overcome specific offenses. (See “Online Store” for a listing and description of other books authored by Deborah). A seasoned professional and astute businesswoman, Deborah has held executive positions in several major corporations including ten years as Vice President of MCA INC. / Universal Studios’ venture capital division and three years as Manager of Forecasting and Budgeting for Hughes Aircraft’s billion-dollar Space & Communications Division. She has also served as financial consultant to several celebrities, various non-profit organizations and emerging businesses domestically and in South Africa. She prepared the initial financial projections for the development of the wildly successful Magic Johnson Theater chain. A Certified Public Accountant (CPA) with a Bachelor’s degree in Accounting from the University of North Texas and an MBA degree in Finance from the University of Southern California, Deborah is also a Certified Behavioral Consultant. She specializes in helping people understand, accept, and appreciate personality differences. 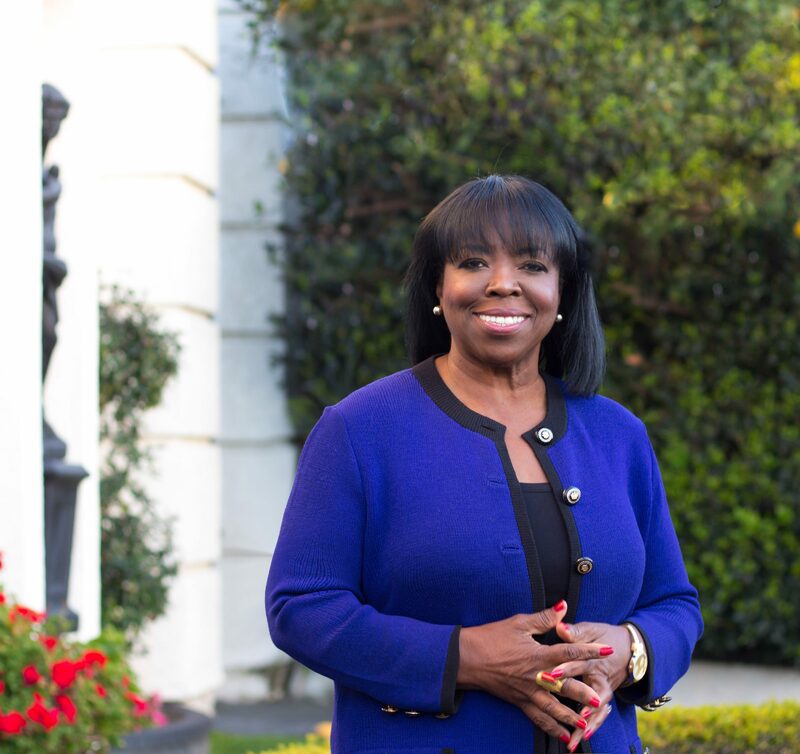 Deborah served for nine years as Chief Financial Officer of West Angeles Church of God In Christ, one of the leading mega-churches in the USA, headed by Bishop Charles Blake (presiding bishop of the Church of God in Christ International). In connection with the construction of their $66-million landmark cathedral, she negotiated the largest financing commitment ever extended to a church in the United States at that time. She is in great demand to share her expertise on resolving interpersonal conflicts via effective confrontations. She conducts transformational training in secular and non-secular organizations on achieving organizational unity. Her advice has appeared in Essence magazine, Charisma, Redbook, and other national publications. Deborah’s past community involvement has included serving on the Board of Directors of the Christian Entertainers Fellowship, Inc., an outreach organization for high profile entertainers, the billion-dollar Evangelical Christian Credit Union (ECCU), Save Africa’s Children, and special stints of sharing her wisdom with numerous other nonprofit organizations. She recently completed a 9-year stint on the Board of Directors for World Vision USA, the billion-dollar Christian humanitarian organization that helps relieve poverty in over 100 countries (www.WorldVision.org). She served for several years as a member of the Board of the Christian Women in Media Association (www.cwima.org). Respected community leaders have praised Deborah for her excellence, forthrightness, and integrity. She and her husband, Darnell Pegues, have been happily married for 39 years. They reside in California and have many spiritual children.